Unilet's next Sinful Saturday sale offers Roksan range at 'never to be repeated prices' | What Hi-Fi? 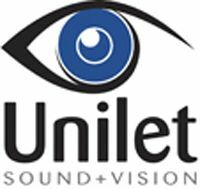 British hi-fi specialist Roksan has teamed up with Unilet Sound & Vision in New Malden to offer some highly tempting deals in the retailer's next Sinful Saturday sale on May 14th. Amplifiers, CD players, speakers and the world famous Roksan turntables will all be given the familiar Sinful Saturday treatment, with "never to be repeated prices that are bound to appeal to music-loving hi-fi enthiusiasts", says Unilet. The sale starts at 9am this Saturday, and deals on offer include almost £900 off the Roksan Radius 5 turntable, available for £599 with tonearm and Ortofon 2M Red cartridge. Vernon Hamblin, Unilet director, says: "We've been in talks with our friends at Roksan and are delighted they have agreed to participate in the next of our Sinful Saturday sales." Anyone who pre-registered on the company's Blue Murder Sale website will be sent details of the latest offers. Otherwise just pop on down to the store at at 35 High Street, New Malden, Surrey KT3 4BY to bag yourself a bargain. The Saturday sales continue until June 4th.